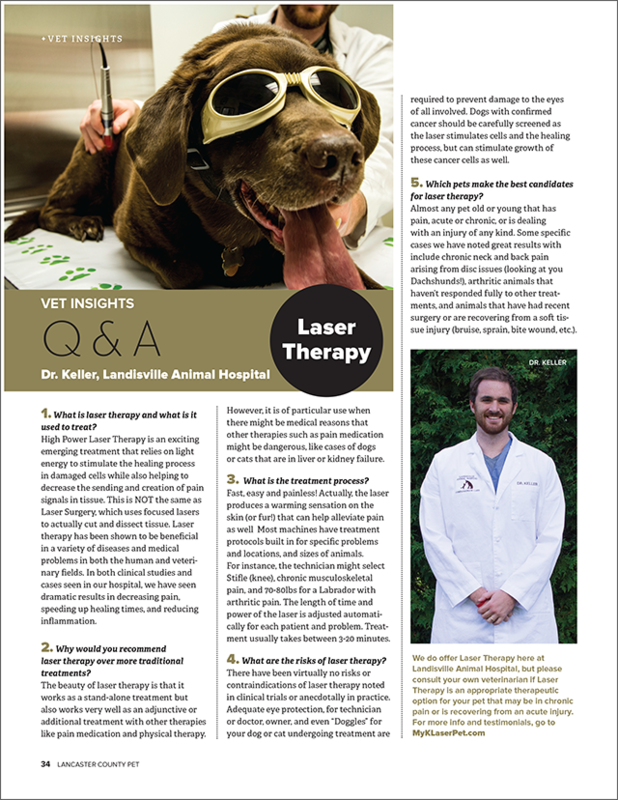 Featured in the Spring 2016 edition of Lancaster County Pet, our own Dr. Keller discusses laser therapy. Here, he explains what cold laser therapy is, how it works, and when it’s most commonly used. Learn more about laser therapy treatments at Landisville Animal Hospital. . .